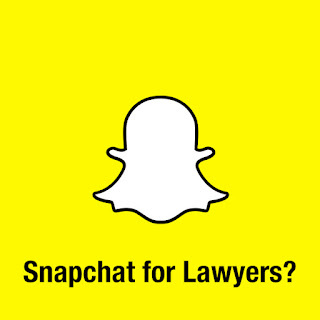 The PR Lawyer: Should Solo and Small Firm Lawyers Use Chat and Photo Apps Like Snapchat for Marketing? 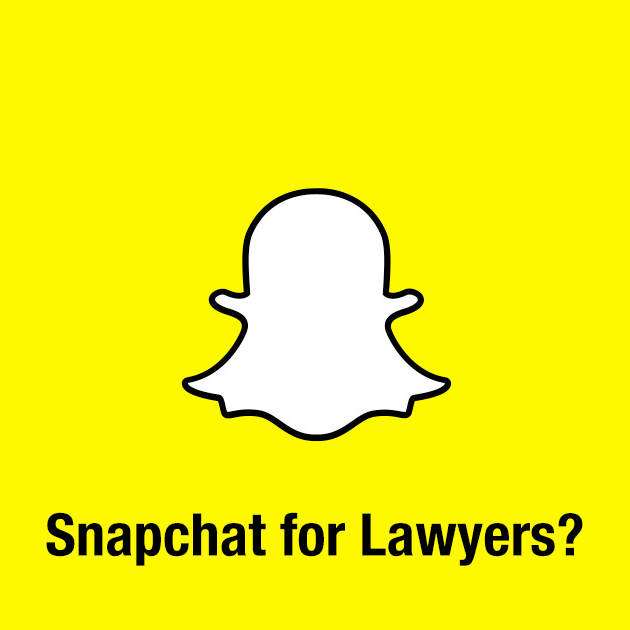 Should Solo and Small Firm Lawyers Use Chat and Photo Apps Like Snapchat for Marketing? I am of the opinion that lawyers don’t need to be early adopters of new technologies, and that includes many social media tools. As with most businesses, law firms have a finite amount of time and money to invest in marketing. Limited marketing budgets, particularly for solo attorneys and small firms, should be focused on social media platforms that already have been tested and proven effective for legal marketing. For example, I advocate that all lawyers should have robust and active profiles on LinkedIn. And attorneys with consumer-targeted practice areas like family law, criminal law, wills, trusts and estates, workers’ compensation and social security disability also should maintain robust firm pages on Facebook. But social media changes rapidly. Some platforms will flourish while others will fade away - think Ping, Orkut, Xanga, Digg, Friendster, Myspace and a myriad of other sites, many of which you’ve probably never heard of. That means that until some of the newer photo and chat apps are tested by those aforementioned early adopters and found to be effective for legal marketing, law firms should focus their time and attention elsewhere. For example, Snapchat, What's App, Pinterest, Instagram and other chat / picture applications used by entrepreneurs are probably not good investments in legal marketing for most firms in 2017. There are some legal marketers who would disagree with me on this, particularly as it relates to Snapchat, and others who are in full agreement. My biggest issue with Snapchat is that the majority of users are female between the ages of 13 and 25. Of those who are considered Generation Z (born after 2001), none of them are the target audience for law firms (yet). If your law practice is focused on reaching young millennials and, more specifically, millennial consumers, you should by all means keep a cursory eye on the social media platforms as they evolve. Until they are proven to work well enough to justify a return on your marketing investment, you likely will be better off focusing on creative ways to use existing social media channels for which content marketing best practices already have been developed. Does your small firm use social media for legal marketing purposes? What kind of results are you seeing? Tell us in the comments.